I work full time as a graphic designer, and usually that means creating logos, brochures, business cards, websites, and other marketing materials for companies. But sometimes ribbon or textile projects come along—always a fun diversion. 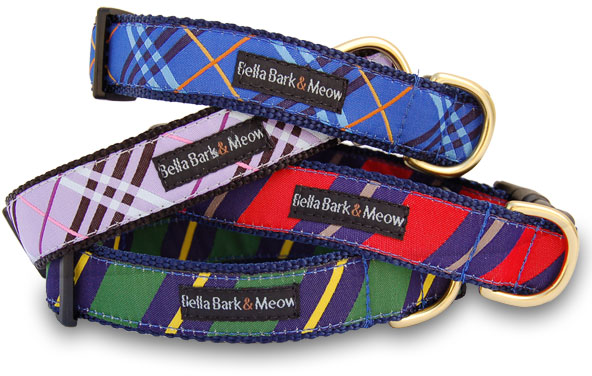 One example is this custom ribbon for Bella Bark and Meow. 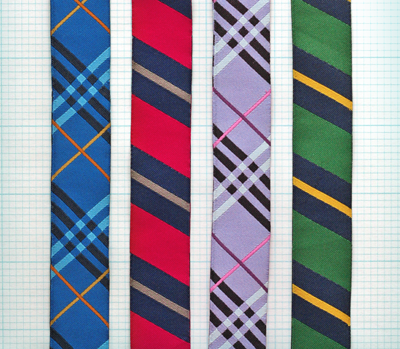 The company requested designs that resemble neckties, and after whittling down a pile of options, here's the final result. If your pooch studies at an Ivy League university, leads board meetings or plans to run for office, these are just the thing. Find these preppy dog collars here. You have read this article design work with the title Designing necktie ribbon. You can bookmark this page URL http://jenkrebs.blogspot.com/2012/04/designing-necktie-ribbon.html. Thanks! No comment for "Designing necktie ribbon"